State Representative Avery Bourne (R-Raymond) has aggressively been pursuing legislation to curb the synthetic drug problems facing central Illinois. 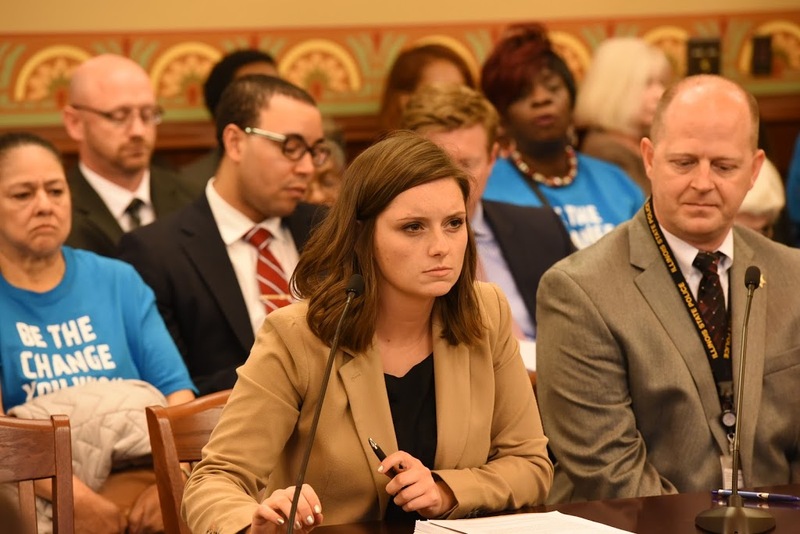 Her latest bill, House Bill 2534, crafted in conjunction with the Illinois State Police passed out of the House Judiciary Committee on March 28th. This bill is the result of meetings and recommendations from local law enforcement, community drug prevention organizations, and statewide experts. Representative Bourne’s bill amends the Illinois Controlled Substances Act by adding and updating new synthetic drugs and cannabinoids to the list of controlled substances. SB2534 is an ongoing initiative to fight the growing use of “bath salts” and synthetic drugs whose complex chemical compounds have eluded definition under the law. Last year, during the 99th General Assembly, Rep. Bourne partnered with Senator Manar to sponsor Senate Bill 210. This bill made the sale of bath salts by a retail mercantile establishment a Class 3 felony with up to a fine of $150,000 and provided for revocation of a retailer’s license. SB 210 was signed into law by Governor Rauner as Public Act 99-0585.